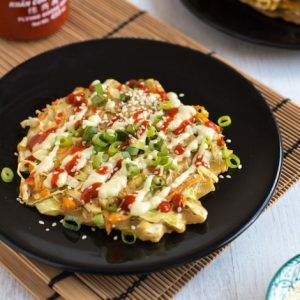 You knew that my first recipe after vegan January would have the word ‘cheesy’ in the title, right? How could I not? However, I promise I won’t be going back to my old ways. I’m definitely going to make an effort to cut back on the cheese. Just let me have this one. These little cheesy lentil loaves turned out so much better than I could have hoped. 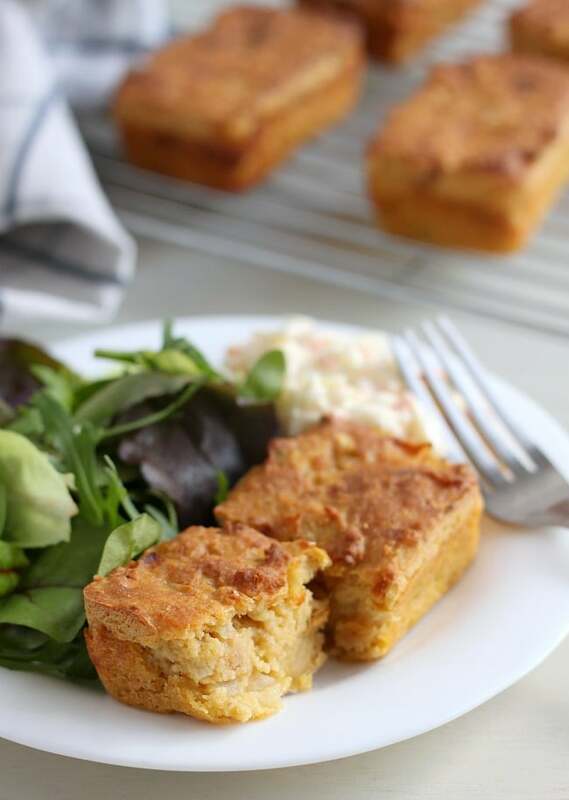 They’re beautifully crisp on the outside (and you all know how amazing crispy cheese tastes), but unlike a lot of lentil loaves, they’re still soft and moist inside. I included an egg in the mixture to help them remain light and fluffy, and it totally worked – they even souffléd up a little in the oven. 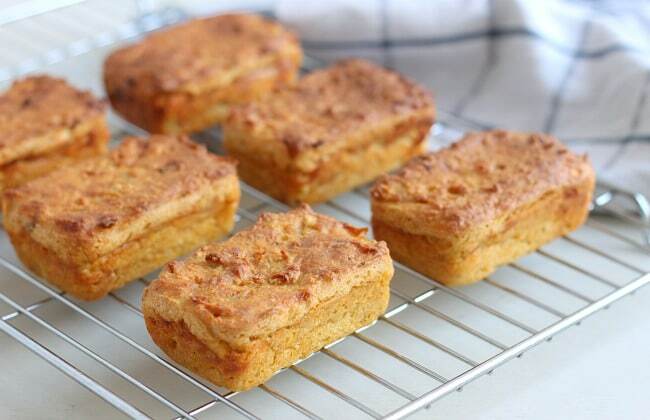 Much nicer than the dry, crumbly bricks that you often find masquerading as lentil loaves. 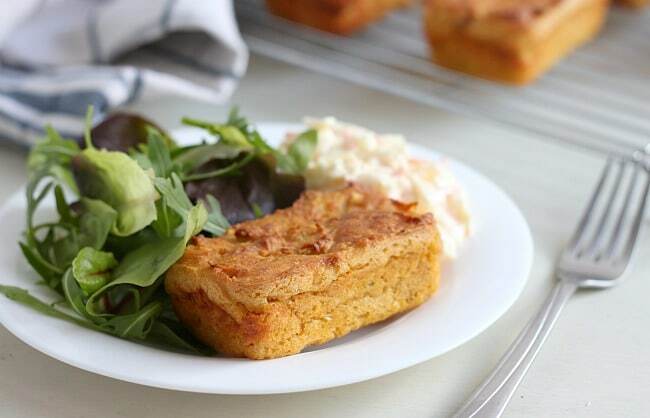 These little loaves are really versatile – we had ours for lunch with salad and coleslaw but they’d be a great protein for your vegetarian roast dinner too, with some roasted vegetables and gravy. They’re also the perfect little thing to pop in a packed lunch and eat cold. And I haven’t tried this yet but I bet they’d even be fine if you froze them and just took one out every now and then for a quick dinner. I’ll try this and if I remember (which I might not), I’ll report back later. By the way, if you don’t have a mini loaf tin like I used, you could definitely make these in a muffin tin instead. You could even try making one big slab in a cake tin, though I wouldn’t spread the mixture any more than about an inch thick, or your ratio of soft centre and crispy outside will be a bit off. You don’t want to miss out on any of that crispy, cheesy exterior! Combine the red lentils, stock and water in a saucepan, and put them on to boil. Meanwhile, heat the oil in a pan, and cook the onion and garlic over a medium-low heat for around 5 minutes, until soft and translucent. Continue cooking the lentils until very soft, probably around 20 minutes in total. When the liquid begins to boil away you will need to stir very regularly to prevent the lentils from sticking. Once the lentils have begun to break down, turn the heat down a bit to prevent them from spitting, and continue to cook, stirring constantly, for another few minutes to allow the mixture to thicken a bit more. Remove the lentils from the heat, and add the onion and garlic mixture, cheese, breadcrumbs, smoked paprika and plenty of black pepper. Taste the mixture to check for seasoning (you might need a bit of salt if you used low-sodium stock). At this point the mixture should be fairly thick and sticky, and should cling to the spoon for 2-3 seconds before dropping off. You can adjust the consistency with either a dash of water (to make the mixture thinner) or a few more breadcrumbs (to make it thicker). Leave the mixture to cool for a few minutes, and then stir in the egg. Spoon the mixture into a lightly greased mini loaf tin or cupcake tray. In my tray, the mixture made 6 mini loaves, but this might vary a little depending on the size of your tray. Gently press the mixture into the corners of the pan and smooth each loaf out on top. Bake for around 45 minutes, until golden brown and fairly firm to the touch. Either serve immediately or, if leaving to cool, turn out onto a cooling rack. We make these regularly now, and I also always keep the batter for them in the freezer. When we’re ready to use them, I thaw the mix overnight in the fridge, add some more breadcrumbs to absorb any extra liquid, and bake as usual. Perfect every time! These have been in regular rotation for us for a while now and they’re amazing, but last night I tried something different that I wanted to share. I only did half an onion, doubled the garlic, and chopped up some sun-dried tomato (about 50g/ 1/2 c) to add. I threw in some Italian herbs and swapped the cheddar for a mix of mozzarella and fresh parmesan. Great, robust recipe! Made this with some substitutions and it still came out great. Made it gluten free: Replace breadcrumbs with half as much coconut flour. That is, 50 g (1/2cup) of coconut flour, then add an equal amount of water, milk or broth as coconut flour. By the way: 150 g lentils = 3/4 cup. Doubled the recipe and made one regular loaf. Still cooked it ~45min. Mine crumbled a bit more than I’d like, but maybe I should have cooked it longer. Still delic! Thank you! Yaaay! These are one of my favourites so I’m so glad you loved them as much as I did :D And I’m especially glad you convinced the meat-eater too :) thanks so much for your comment! We made these last night and they were absolutely delicious! For the person who was worried about using cups, I just guesstimated the fraction of the grams listed on the package. It certainly wasn’t exact, but it still turned out great. Can’t wait to make them again! Woop! So pleased that you liked them Kathleen :) and thanks for the reassurance about the cups! These look fantastic! I plan on making them as a side dish for Thanksgving next week as some of the guests are vegetarians. Can I make them ahead of time? And have you tried to freeze them? Thanks!! I suppose you could make the mixture ahead of time and then bake them on the day – or bake them ahead of time and then just reheat in the oven! I’ve not tried either so it might be worth experimenting :) I’ve not frozen them either but again, I don’t see why you couldn’t! Can’t wait to try these. 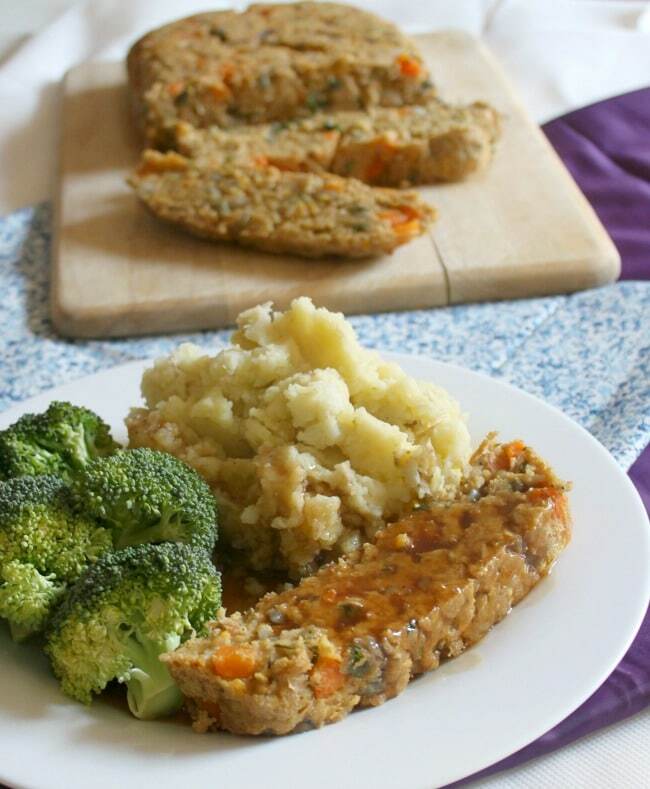 We still joke about the Lentil Loaf I made 20 years ago when we got married. The first time my husband ate it he supposedly loved it. The second time I made it he begged me to never make it again. It was a brick. Looked and tasted like brick. These look fabulous! 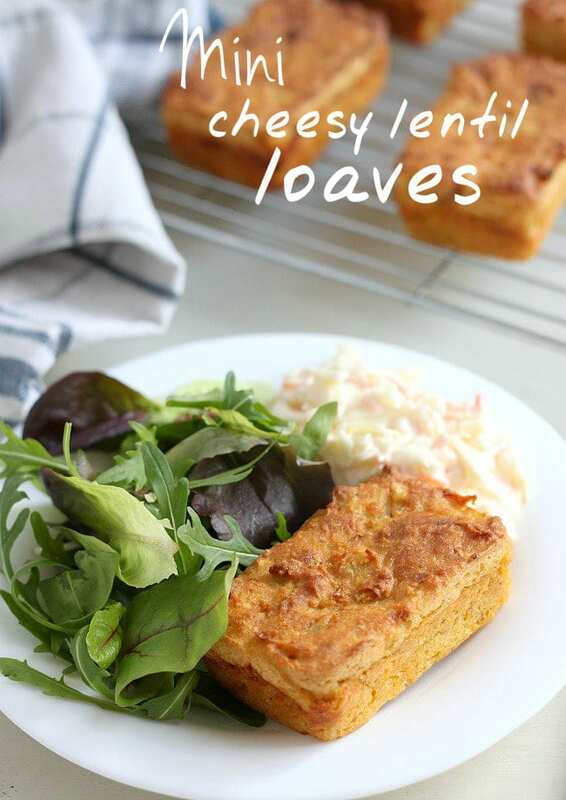 These look fantastic – love the light, un-lentil-y texture. Now, I wonder if I can trick my non-lentil loving family to eat them. Yellow split peas might work too, as they break down nicely. Yum! 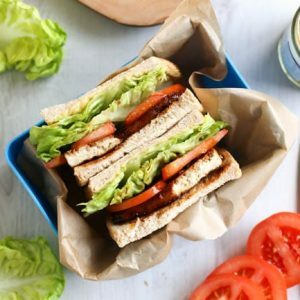 I loved this recipe so much I decided to feature it for this week’s Tasty Tuesdays! Yay! I hope you’ll stop by again this week and link up with me! 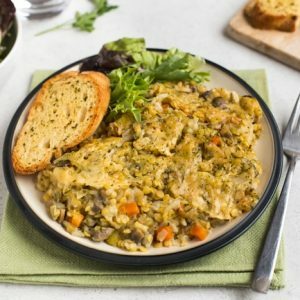 I love my lentils but have never tried anything like this. Thanks for the inspiration and for linking this at Tasty Tuesday. I am featuring your loves this week. Have a great week ahead. Hope you’ll join us back this week. Why can’t you share directly from my site? These look so great and I want to make them but I’m stymied by how to translate the recipe from weight to volume or cups! They are simply gorgeous, Becca! They may even get my boys eating lentils! 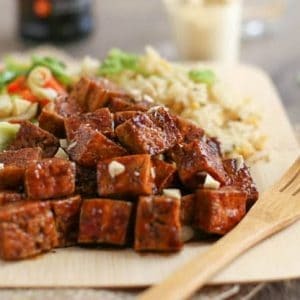 i love creative vegetarian recipes like this. it sounds great! This tastes almost as delicious as real meatloaf! Not quite the same, but still good in it’s own unique way! Definitely worth the try to mix things up…after all, a healthy variety of meats and veggies is a healthy diet! Such a good idea for a roast veggie meal!! Will definitely try that one out. Thanks for the recipe! Oh, I’m totally making these! And I definitely need to find myself some smoked paprika (I need to look online because I couldn’t find any in the shops in my area). Do you think another kind of lentil would work? I don’t have any red ones but there’s half a packet of light beige ones left in my cupboard. Congrats on successfully finishing your vegan january. That must have taken some serious willpower. I admire you. I don’t think I’d be able to go without cheese for that long. I’m not ready yet. But perhaps in a little while. Hmm I’m not sure about other lentils – red lentils cook down a lot more than other lentils. I’ve never heard of beige lentils though so I can’t really advise specifically for that type. You could definitely try them, but bear in mind you might need more bread or egg to bind it all together and the texture might be a bit different. these look so good, a great way to celebrate eating cheese again! 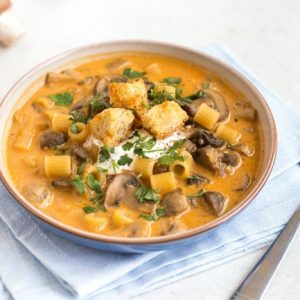 Not surprised at all about the ‘cheesy’ in the title ;) It’s so great how you add in details like ‘mixture should be fairly thick and sticky, and should cling to the spoon for 2-3 seconds’, since I’m always doubting myself and the process when I cook. And crispy cheese? Say no more! Congrats on finally getting some cheese! 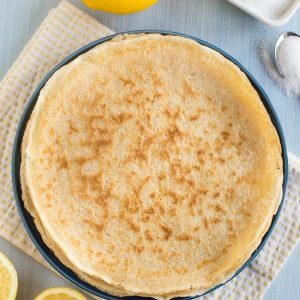 I’ve never heard of anything like these using lentils, but they look really lovely and light like a souffle. 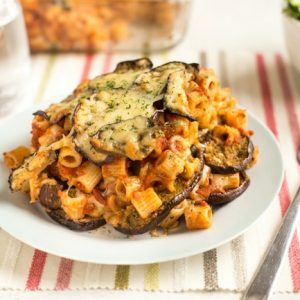 Great veggie alternative for a roast dinner!